You can give the answer of below question after complete this exercise. How to use Advance Rest Client. Convert object to json in MVC. How to create Partial view. 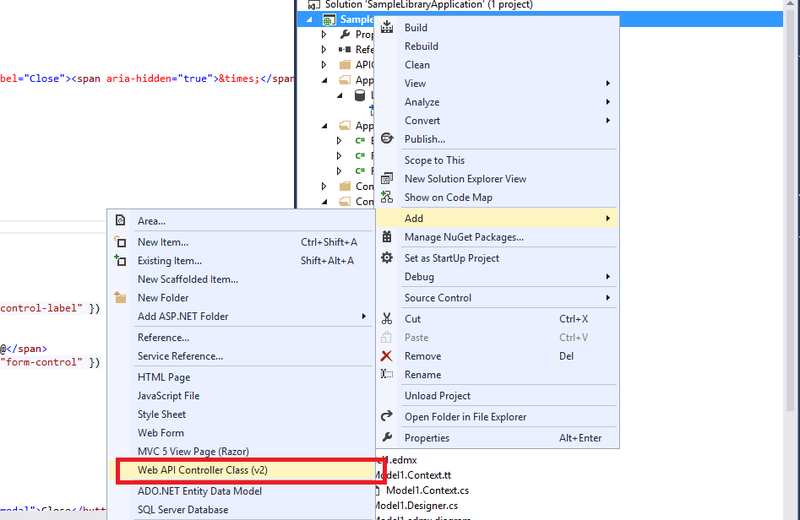 How to call web api Delete in WebClient. 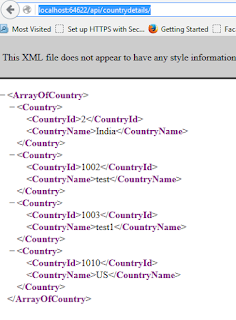 · Web Api samples for Insert, Update and delete. 1. B. Associate that table with your entity frame work. 1. A. 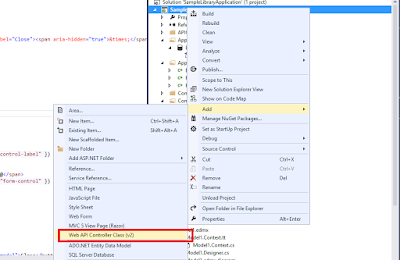 Add a new class for WebApi ; Following below steps to create it. 2. Click on controller à Add à Controller as in screen. Once you click on controller you will get the below window with different options. You can select the WEB API 2 Controller – Empty also but there it will generate the empty class. Now Click on Add than it will ask for controller name, provide the name of controller than Ok. There you can see there is different operation for WEBAPi based on verbs has created like GET, POST, PUT, DELETE and based on need it we will call that methods. GET : Get the records. POST : Add New records. DELETE : Delete existing records. There is one difference with the normal controller and WEBApi controller is, it is inherited from ApiController. 6. For POST and Delete you can see, Just install extension of Google chrome as Advance Rest client and there you can check like below. E.g. for post. 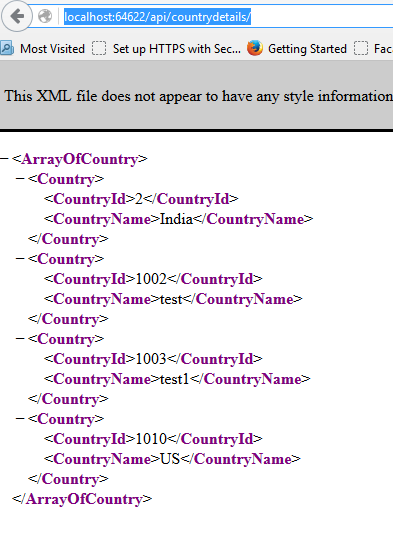 The URL will form as http://localhost:64622/api/countrydetails/ to access the WebApi. We will get the list of country which we need to show in view. 4. Created a partial view to add and update the records of country. (AddNewCountry.cshtml). Make it strongly type with country. 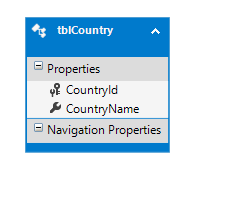 Controller code for adding new country : It contains both the code for adding and editing the country.